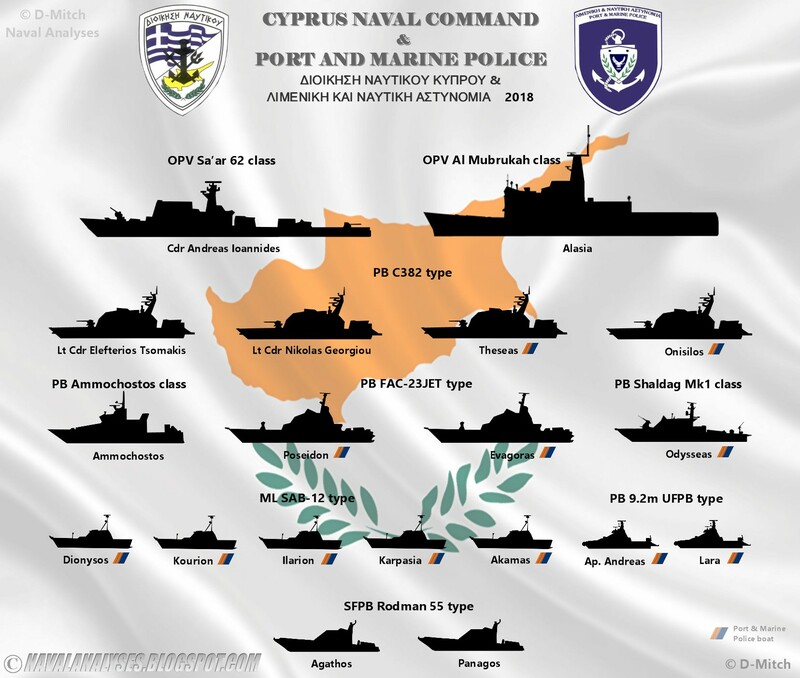 This article will summarize the current naval vessels in service with the Cyprus Naval Command and Cyprus Port and Marine Police (i.e. 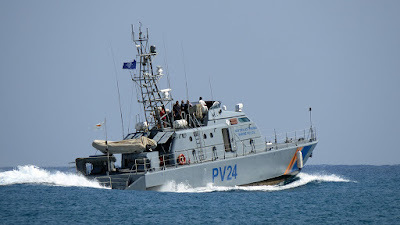 Cyprus Coast Guard). The article is accompanied by graphs and tables, a large number of photos and a brief description of the vessels' armament. 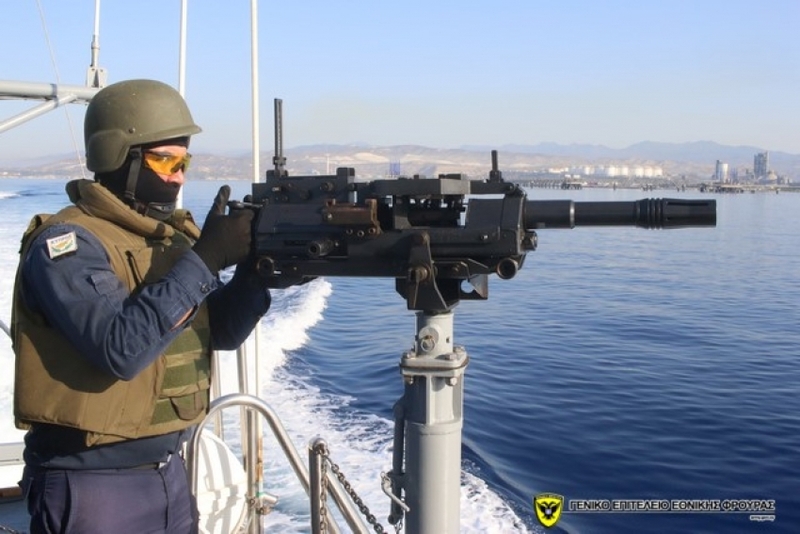 The Cyprus Naval Command (Greek: Ναυτική Διοίκηση Κύπρου) (also known as the Cyprus Navy or Cypriot Navy) is the armed sea wing of the Cyprus National Guard. 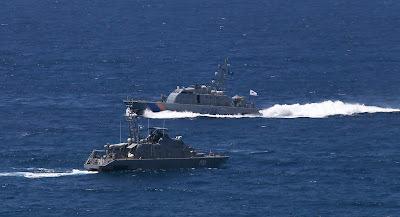 This force does not possess any capital ships or other major warships, but is equipped with patrol boats, none of them equipped with missiles except MANPADS, a number of Aerospatiale MM40 Exocet Block II mobile coastal defence missile systems and integrated radar systems, as well as SEALs-type naval underwater demolitions units. The Cyprus Navy has the primary mission of defending the sea borders of the Republic of Cyprus. 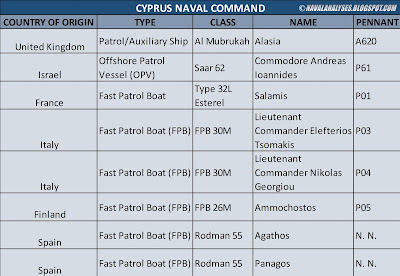 The Cypriot Navy operates today eight (8) patrol boats. The oldest patrol vessel but the largest (and also one of the newly commissioned) with the Cypriot Navy is Alasia. 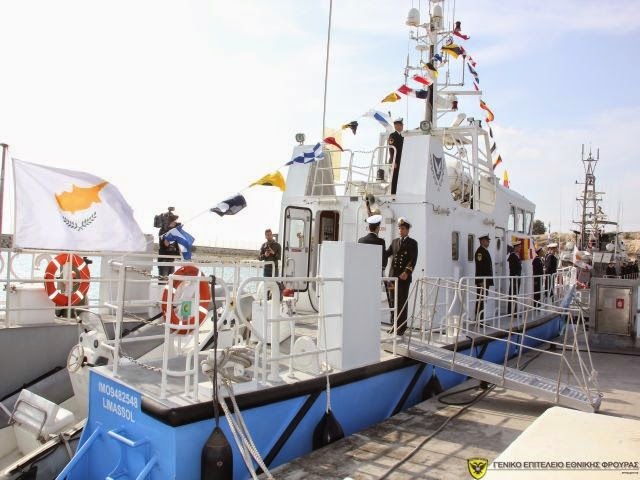 On 14 February 2017 the vessel was presented to Cyprus as a gift from the Sultanate of Oman. 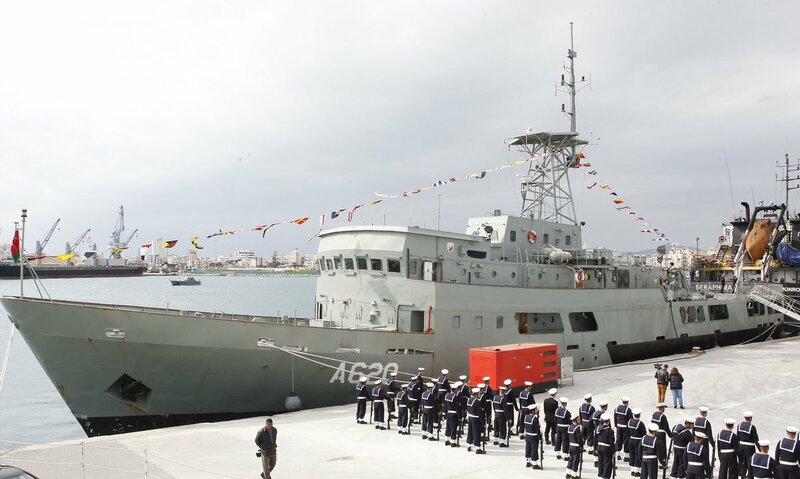 The 62-meter and 930-ton boat was part of the Royal Omani Navy fleet, but was de-commissioned and refitted for use in the waters off Cyprus. The ship was launched on 7 April 1970 as a yacht for the Sultanate of Oman but later on, in 1983, was converted to a training/patrol ship with enlarged helicopter deck, additional accommodation and armament. 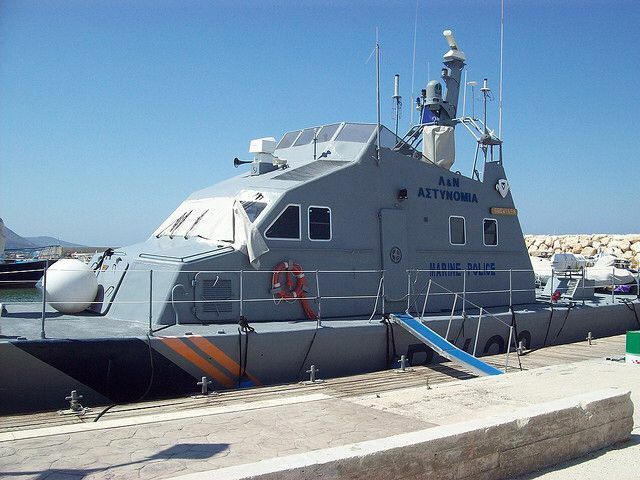 Before its transfer to the Cypriot Navy, all the armament was removed. 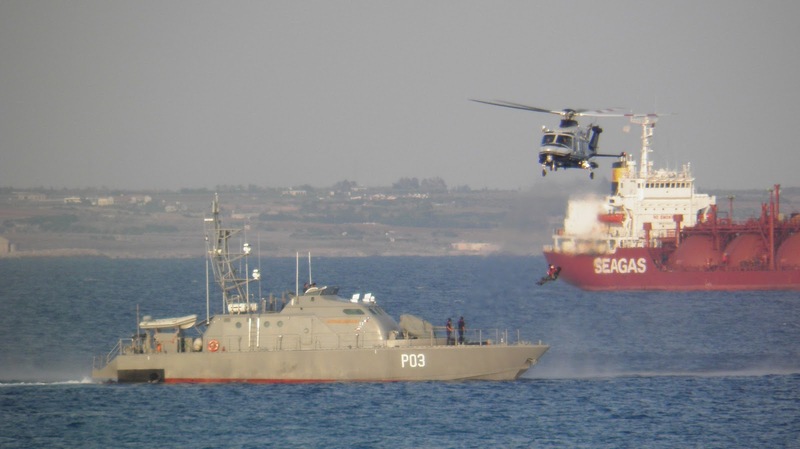 Currently the ship operates as an offshore patrol vessel but mainly as a support vessel (A620), has no armament and it is still the only Cypriot ship with a helipad. 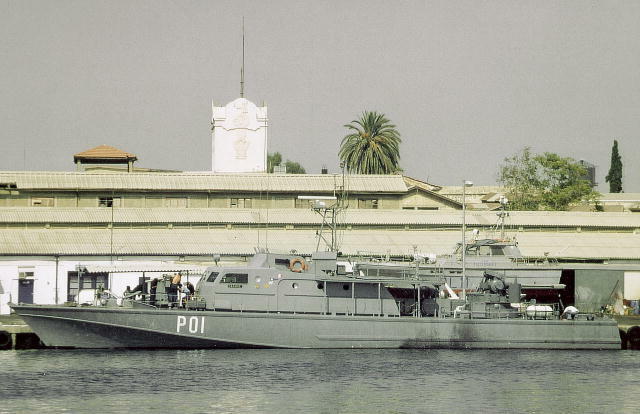 The second oldest boat is a Type 32L Esterel fast patrol craft from France, named Salamis and is issued the pennant number P01. The vessel was upgraded by receiving new electronics, two Mistral SIMBAD SAM launchers, one 20mm/90cal Rheinmetall AA gun and one Oerlikon Mk10 20mm/70cal gun. The Salamis will be officially decommissioned very soon with the introduction into service of new boats and will become a museum ship. 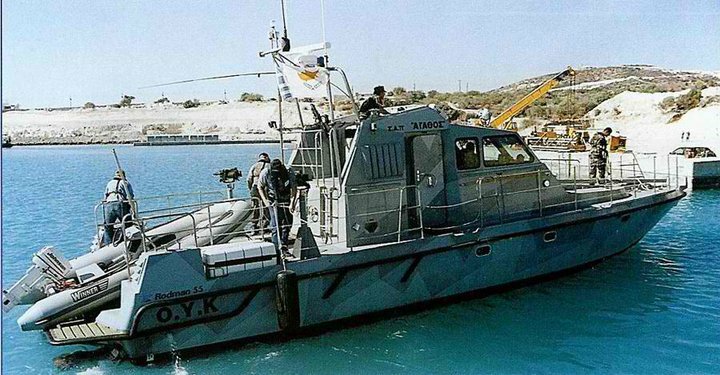 In 2002, the Cyprus Navy acquired two Rodman 55 fast assault boats for the purpose of serving her Special Forces units. 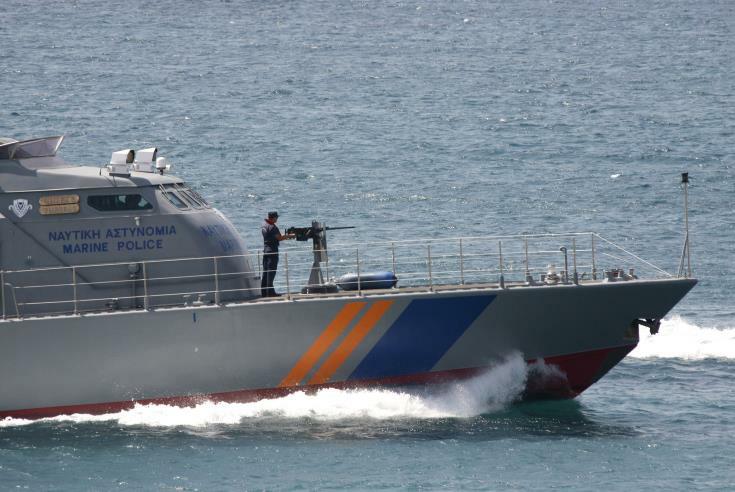 These fast craft are named Agathos and Panagos (no pennant numbers) and are armed with a variety of machine guns and 40mm grenade launchers. 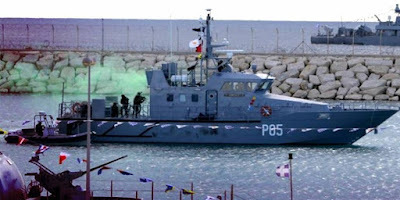 During 2004-2006, Cyprus took delivery of four 96-ton FPB 30M (C.382) type fast patrol craft from the Italian manufacturer Cantierre Navale Vittoria of which two were intended for the Navy, and two intended for the Marine Police. 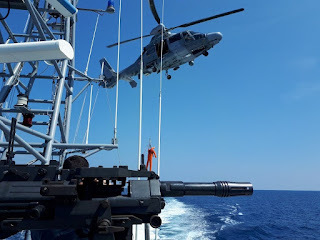 The 27-meter Navy vessels are fitted with single OTO-Melara KBA 25mm/80cal KBA automatic guns and two 12.7mm machine guns. MG3 light machine guns or two Singaporean (! )-manufactured ST Kinetics (former CIS) 40AGL 40mm grenade launchers. The KBA's rate of fire is about 650 rounds per minute and the effective range for aerial targets is about 2,000m. 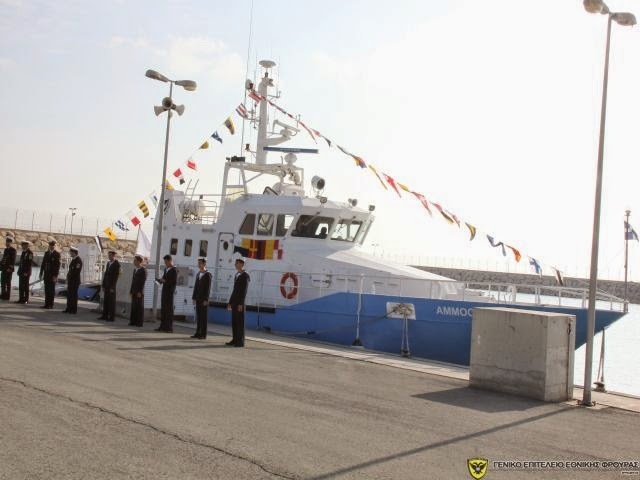 The boats are equipped with two navigation radars and Forward Looking Infra-Red (FLIRs). 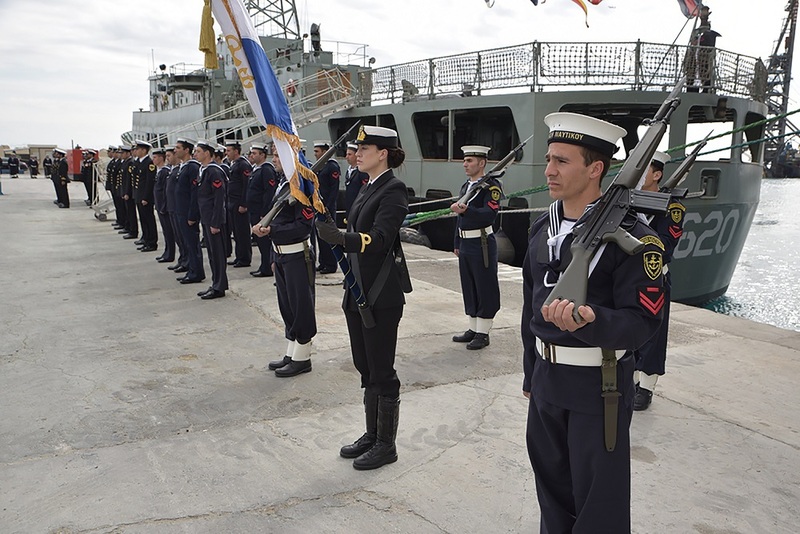 The Navy pair were issued the pennant numbers P03 (Lieutenant Commander Elefterios Tsomakis) and P04 (Lieutenant Commander Nikolas Georgiou). According to the manufacturer about the design, such fast patrol vessel has been specially designed for Cyprus Maritime Police and Navy as well with primary scope to set free access waterways to main Navy basis and commercial ports; such vessel is able to perform its tasks even in adverse sea and weather conditions up to sea state 6-7. 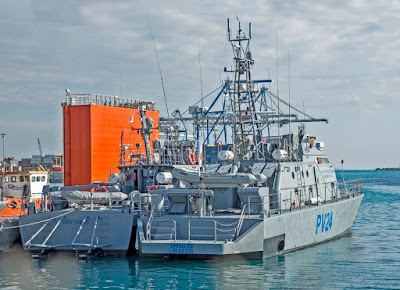 The vessel has been conceived for different missions such as fight against illegal migration, smuggling, terrorism, illegal fishing and to perform search & rescue activities. 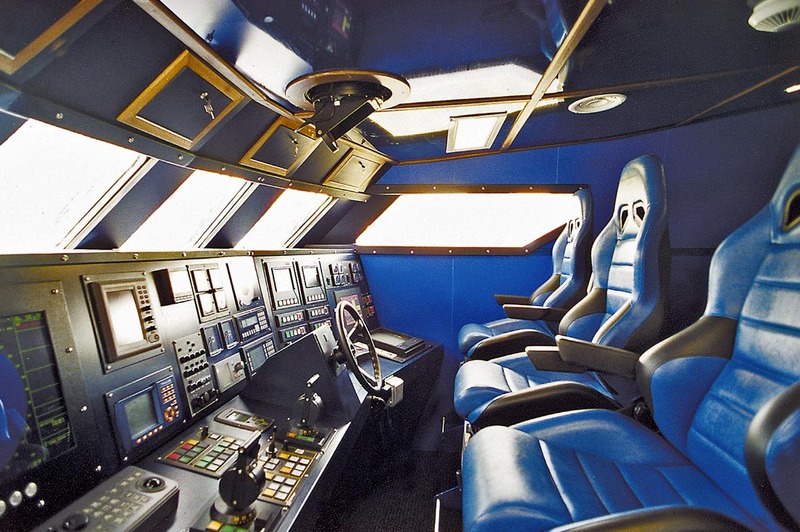 The superstructure bulwarks and windows are bullet proof to grant to the crew the necessary grade of safety. Its max speed exceeds the 45 knots. 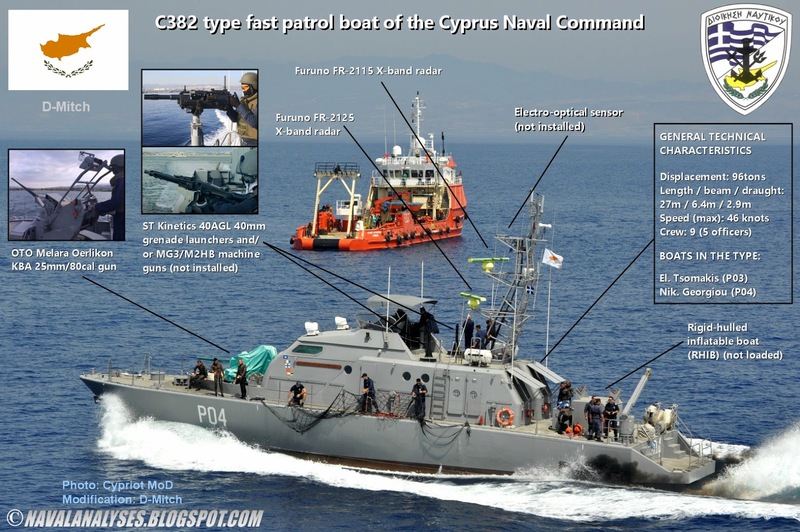 Modified photo of a C382 type fast patrol craft of the Cypriot Navy. For a high resolution image click here. In 2014 the Navy acquired a 25-meter patrol craft from the Ministry of Agriculture, the P05 Ammochostos. Later on, after its transfer, the boat was painted grey similarly to the rest of the boats in the fleet. The Ammochostos was designed and built by the Finnish company Uudenkaupungin Työvene Oy. 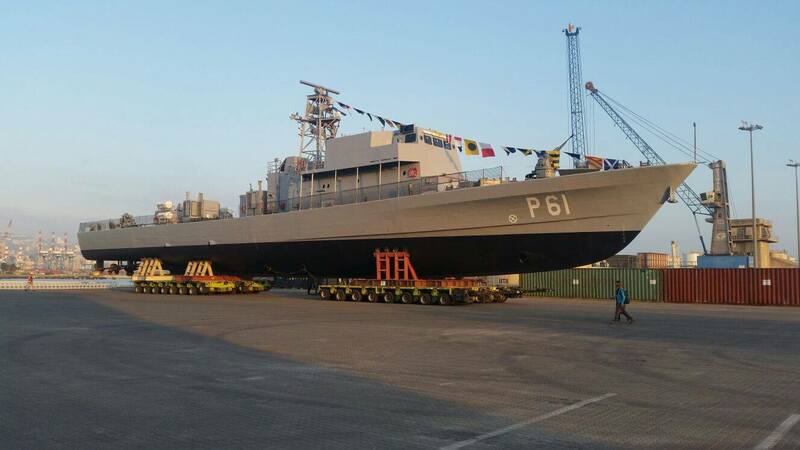 In September of 2017, Israel Shipyards Ltd. launched a new Sa'ar 62 offshore patrol vessel (OPV) for the Cypriot Navy. 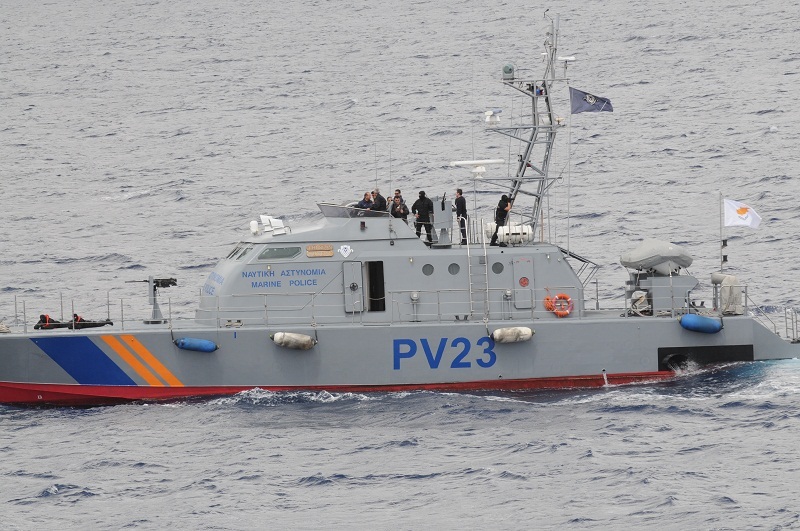 The OPV was ordered in December 2015 and was delivered to Cyprus just recently, to be used to protect the Exclusive Economic Zone (EEZ) of Cyprus. 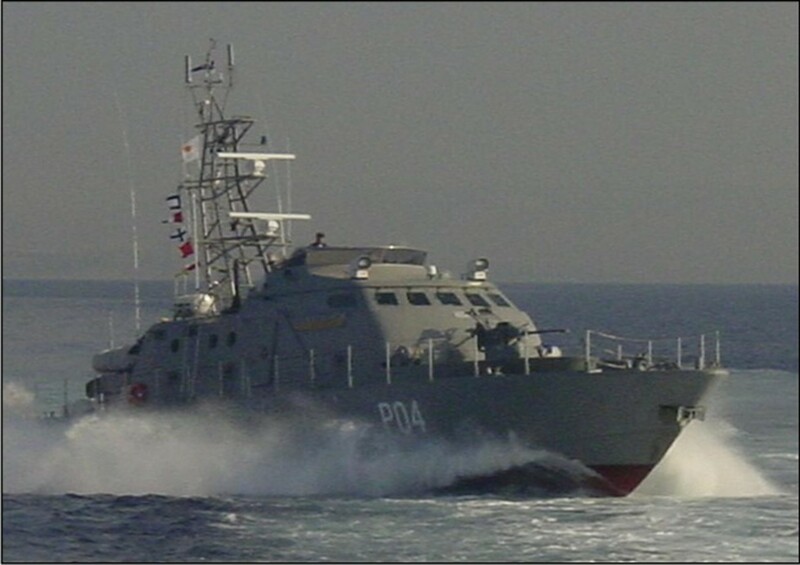 The boat was named Commodore Andreas Ioannides (P61). 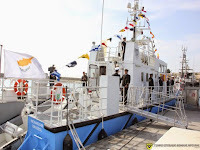 The new vessel has a displacement of 430 tons, an overall length of 62 meters, a maximum speed of 32 knots, and carries up to 30 crewmembers plus a Special Forces unit. 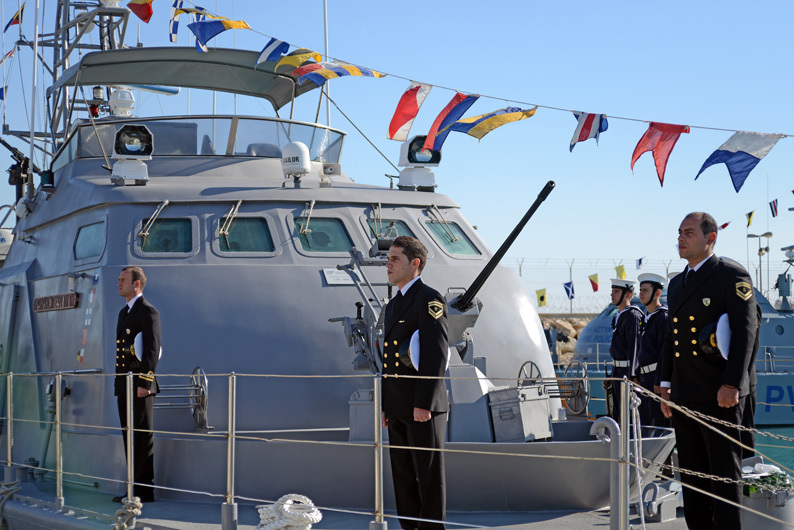 Installed on the vessel are multiple sophisticated systems including 2 Rafael Typhoon Weapon Stations with a single 23mm gun each, advanced radar, two TOPLITE electro-optical payloads, SATCOM, navigation systems, command and control systems, and more. Among others, the vessel is armed with two 12.7mm heavy machine guns, a Mistral SIMBAD SAM launcher but also it is Fitted for But Not With (FFBNW) a Rafael MLS-NLOS system. 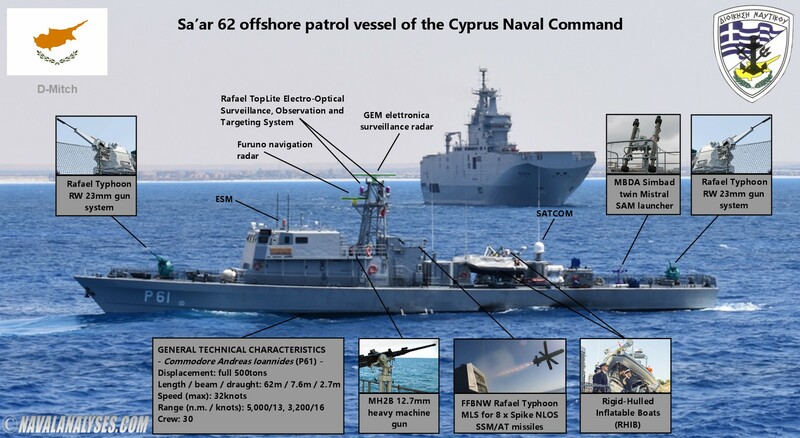 Modified photo of a Sa'ar 62 type offshore patrol vessel of the Cyprus Naval Command. For a high resolution image click here. 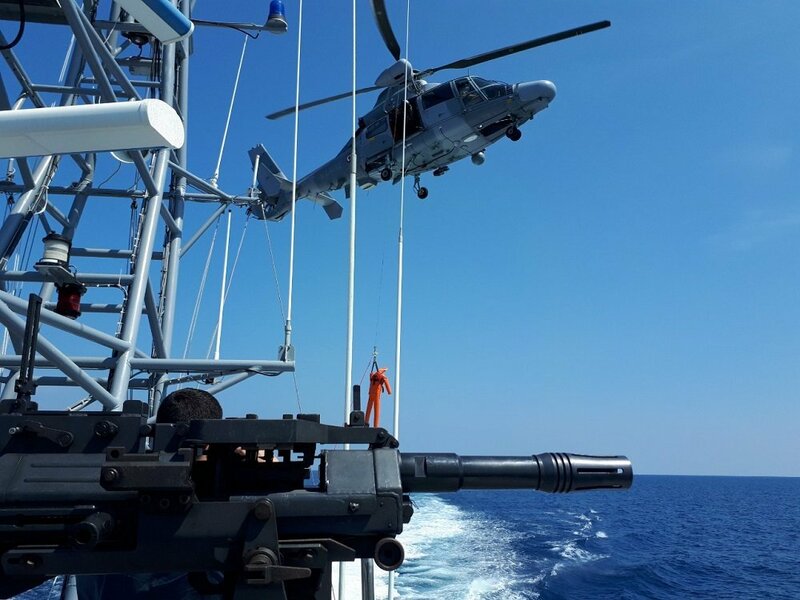 The boat, already armed with two 23mm guns and having such advanced equipment, is certainly the most capable patrol vessel of Cypriot Navy. 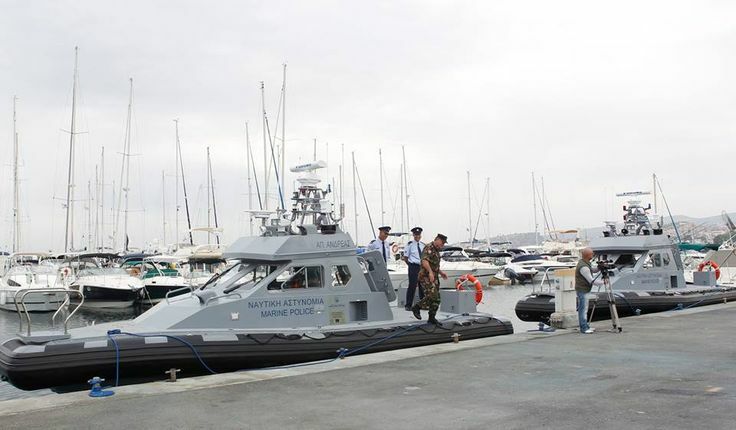 If it receives in the future the MLS-NLOS (octuple missile launching system), the boat will be the first Cypriot boat equipped with anti-ship missiles. Commodore Andreas Ioannides (P61) arriving in Larnaca, Cyprus on January 2, 2018. There is an option for a second boat while some days ago the Cypriot MoD announced that Cyprus will purchase two more offshore patrol vessels. 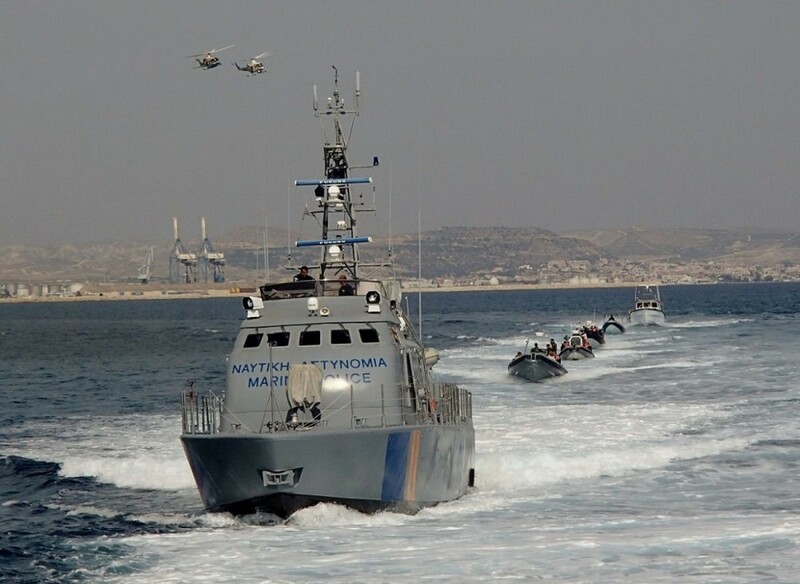 The Cyprus Port & Marine Police (Greek: Λιμενική και Ναυτική Αστυνομία) is the marine police and the civilian Coast Guard wing of the Cyprus Police, and are tasked with the primary mission of law enforcement of the waters around, and control of the sea borders of the Republic of Cyprus. Main roles are reported to include law enforcement of illicit activities such as smuggling, terrorism, piracy and illegal fishing. 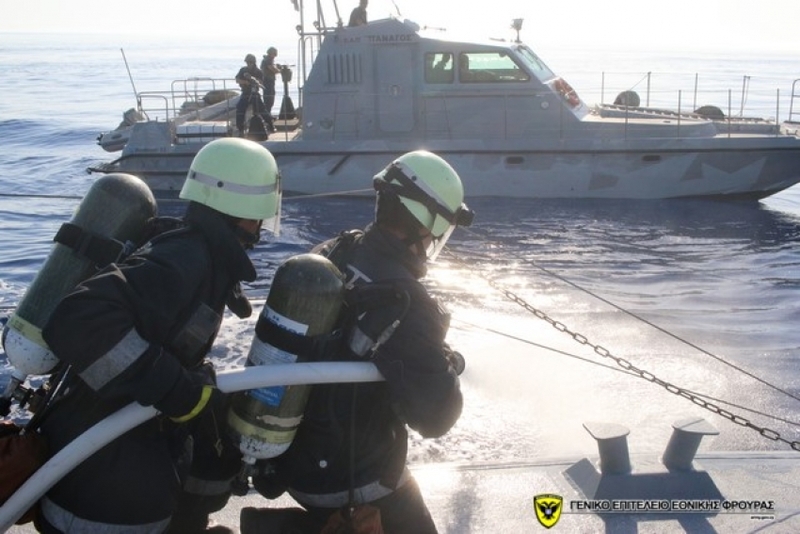 The Cyprus Port and Marine Police also serve a role as a search and rescue (SAR) force. This force is equipped with patrol boats and radars. Cyprus Marine Police boats are notable by the "PV-" (Patrol Vessel) and "PL-" (Patrol Launch) prefixes on their pennant numbers, painted on the side of the hull. 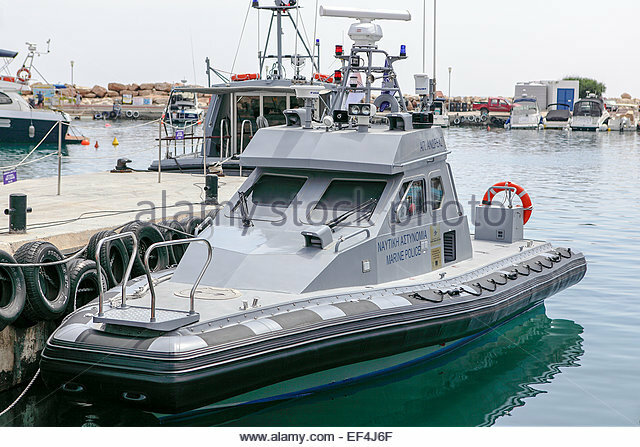 The Port and Marine Police Fleet at present is made up of 18 boats (the 8 are RIBs) which can be divided into three categories according to their size, construction, capability and mission. The first category includes five fast sea patrol boats (F.P.B – JET) which can operate within a large radius – contiguous zone and open sea. 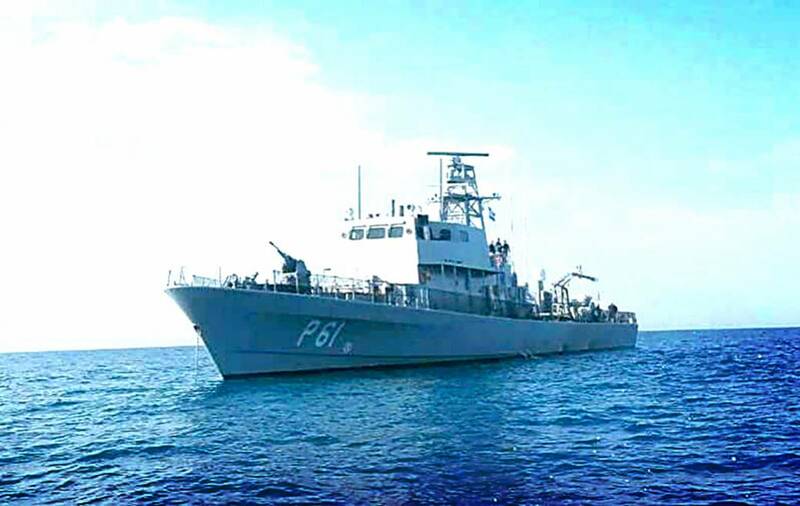 The second category includes five patrol boats (SAB-12) which can operate within a medium-range radius – within territorial waters. 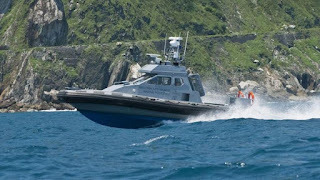 The thrid category includes eight inflatable speed boats of which the two of them equipped with aluminum superstructure and radars – mostly used close to shore. 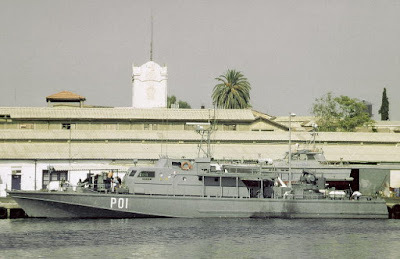 In 1991, two FAC-23 fast patrol vessels, the Poseidon (PV20) and Evagoras (PV21), were acquired from the (former Yugoslavian) Serbian manufacturer Yugoimport SDPR J.P.. 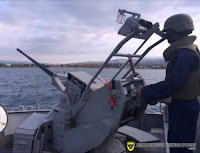 The 42-knot boats were initially equipped with one 20mm/90cal gun and two 7.62mm machine guns but later replaced by three 12.7 mm machine guns, as it was decided that guns will equip only vessels of the Navy. 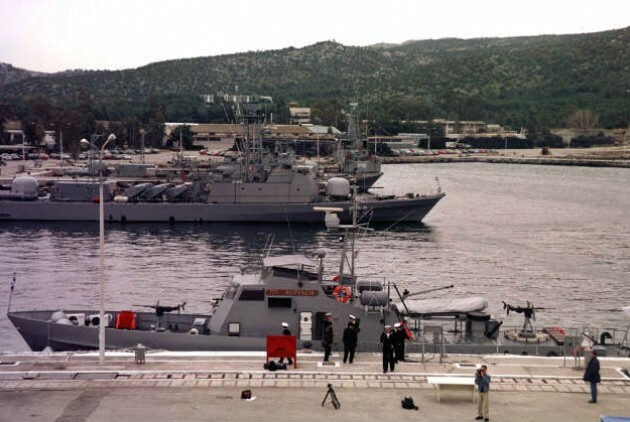 In 1992, five SAB-12 launches (PL11 - PL15) were transferred from Germany to Cyprus, without armament. They have a mount for a 12.7mm heavy machine gun. In 1998, a Shaldag Mk 1 patrol vessel, the Odysseas (PV22), was acquired from Israel, initially equipped with one 20mm/90cal gun and two 12.7mm heavy machine guns which were later replaced by three 12.7 mm machine guns. 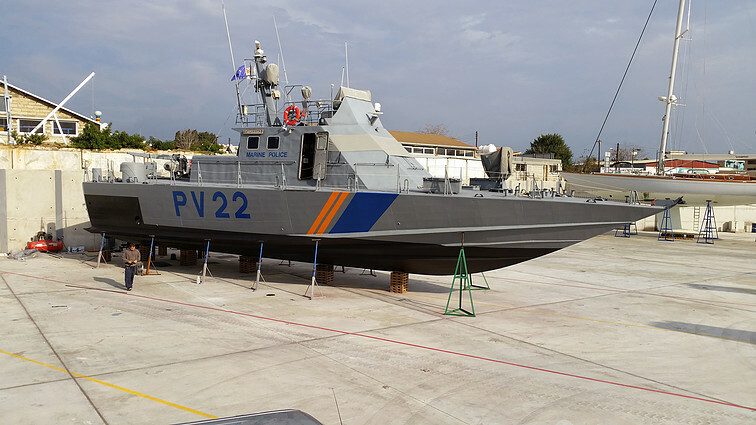 As it was mentioned earlier, in 2004, Cyprus took delivery of two FPB 30M (P-190 or else type C.382) class patrol vessels from the Italian manufacturer Cantierre Navale Vittoria. 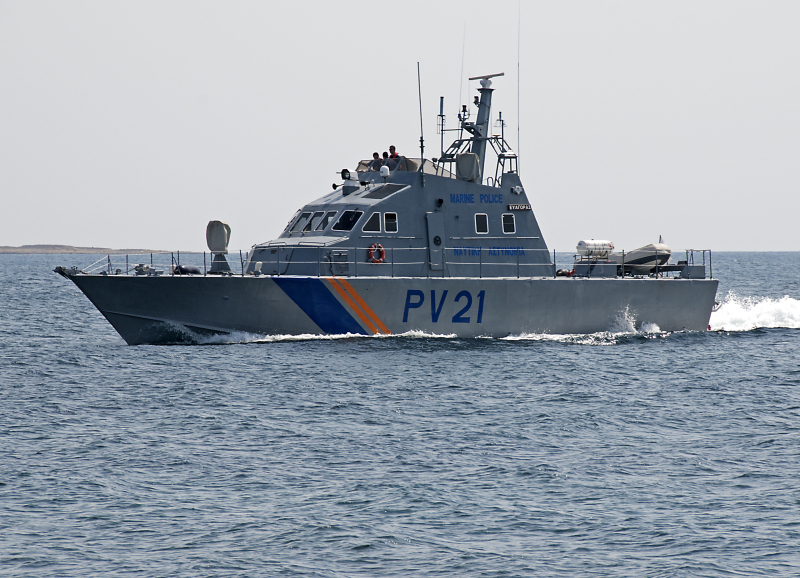 The boats were named Theseas (PV23) and Onisilos (PV24) and are equipped with three 12.7 mm heavy machine guns. 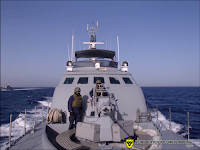 All the sea patrol boats can receive an electro-optical sesor on their mast but not all the boats carry it. 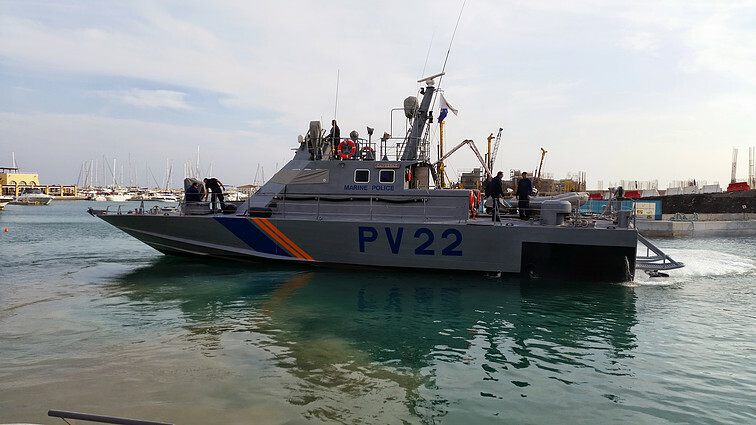 Excellent photos of Onisilos (PV24) during sea trials. 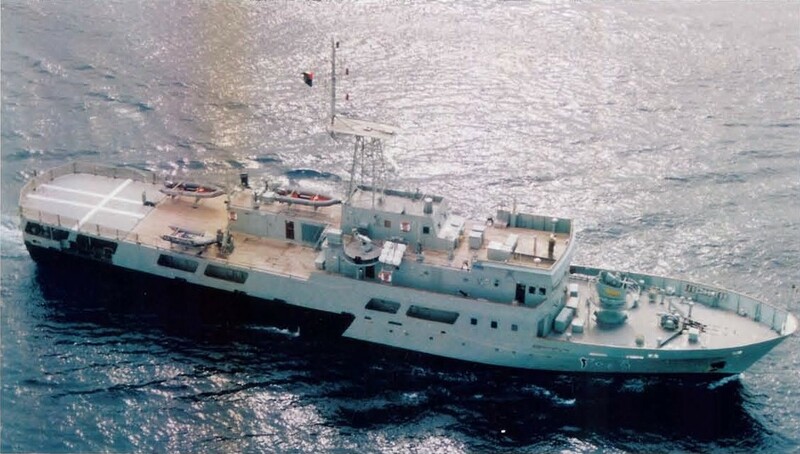 In 2013, according to local press, the Port and Marine Police acquired two new Taiwanese (! 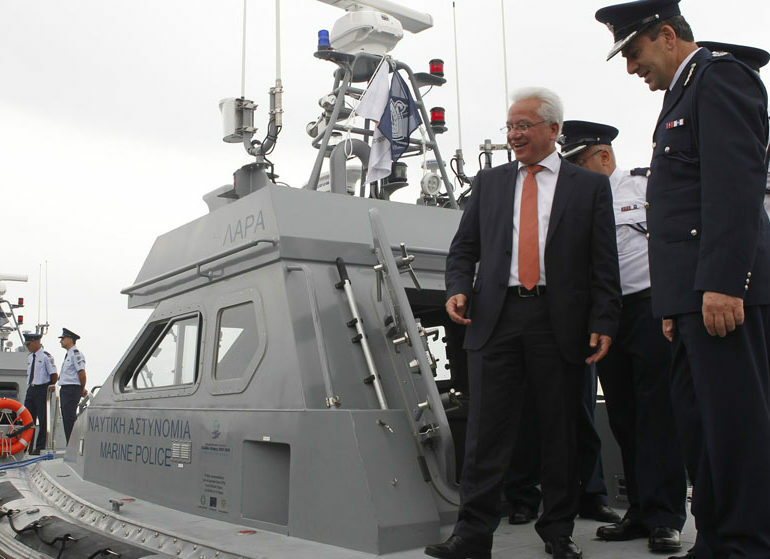 )-manufactured 9.2m Ultra Fast Patrol Boat police boats, designed by Lung Teh Shipbuilding, named Apostolos Andreas and Lara, that were purchased from Greece, as part of the cross-border cooperation program between the two countries. The two 47-knot armored boats were purchased for €60m (?) and are equipped with portable thermal scopes and other sophisticated equipment to combat various forms of organized cross-border crime such as illegal immigration and the smuggling of drugs and weapons in the area. The €48m of the total cost of the program has been funded by the European Union. 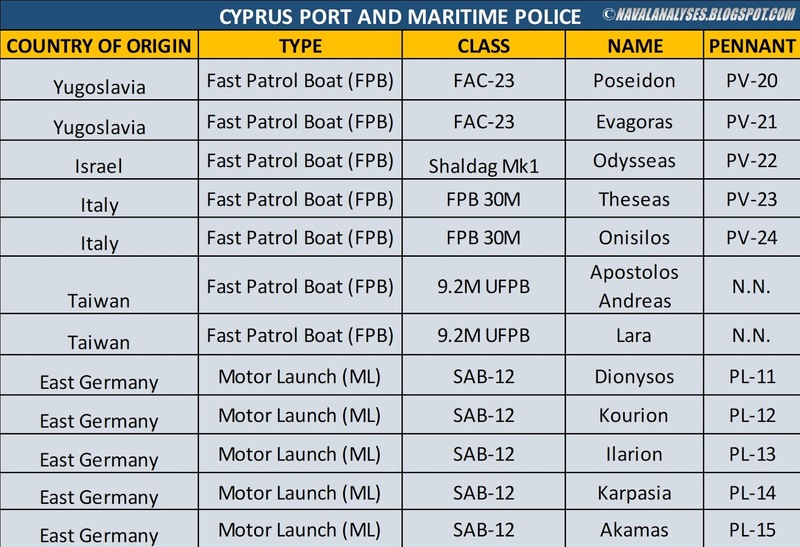 Somebody could notice from the summary of the Cypriot naval equipment, that there are very few large patrol boats and with the exception of just one boat, none is really offshore patrol vessel. 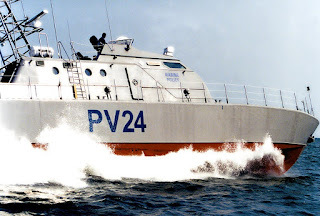 It seems this will change in the near future with the acquisition of two more OPVs. Nevertheless, the Naval Command has seven (7) boats in active service of five (5) different types from five (5) different countries of origin! 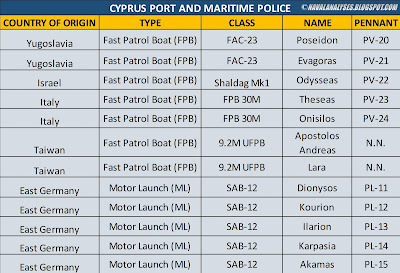 The things are slightly better in the Cypriot Police/Coast Guard command where it operates 18 craft of six (6) different types of six (6) different countries of origin! 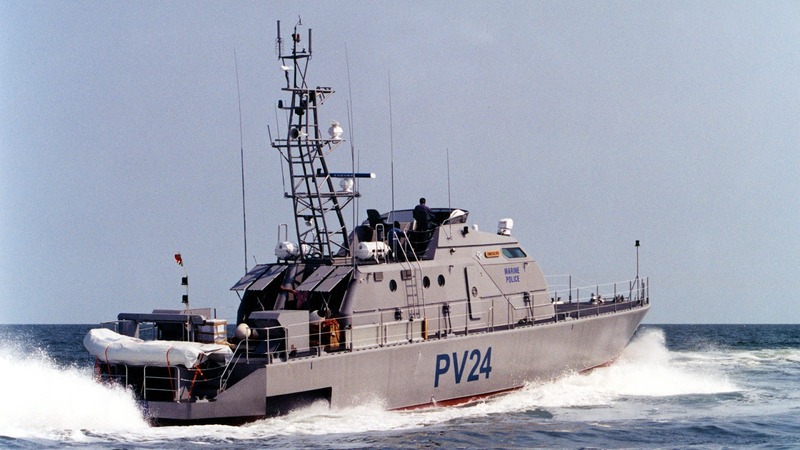 Moreover, some of the Coast Guard patrol vessels have superior capabilities than other boats in service with the Navy. 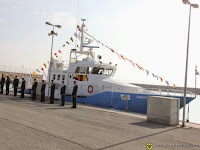 Such boats are the FAC-23s, C382s and the single Shaldag of which two already (the C382s) are in service with the Navy! At least these five boats could receive a proper armament instead of just machine guns. Also, it should be mentioned that not all the boats are equipped with electro-optical sensors despite the provision for installation on the mast. If not now, in the future, this will be a real logistical nightmare of operating such a mix of equipment for Cyprus. Cypriot Naval Cammand should focus on purchasing more capable boats; better armed, better protected and with more sophisticated equipment. Such an example could be the Sa'ar 62 and Shaldag MkV in the Azerbaijani Coast Guard configuration. 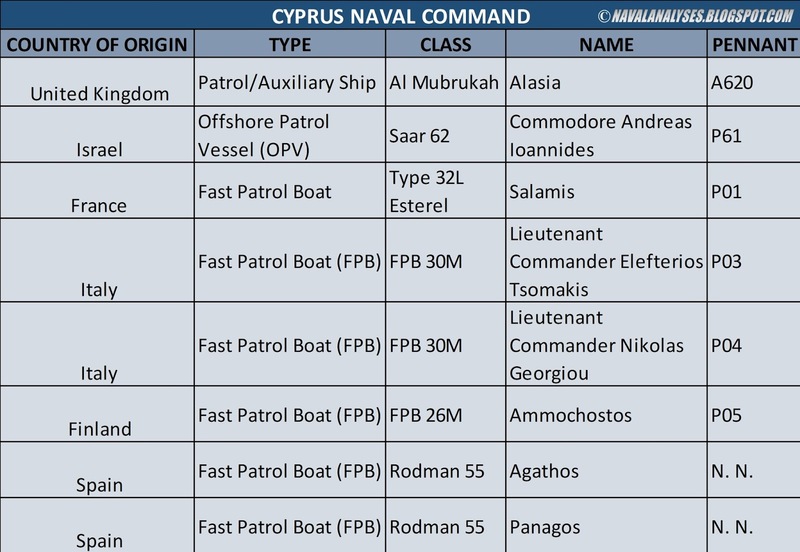 The following image includes all the Cypriot Naval Forces as of January 2018. The Cyprus Naval Command & Port and Marine Police naval vessels as of January 2018. High resolution image here. I would like to thank a lot my friend Evst. Palaiologos (@EvstPalaiologos) for his help on identifying some vessels and weapons!